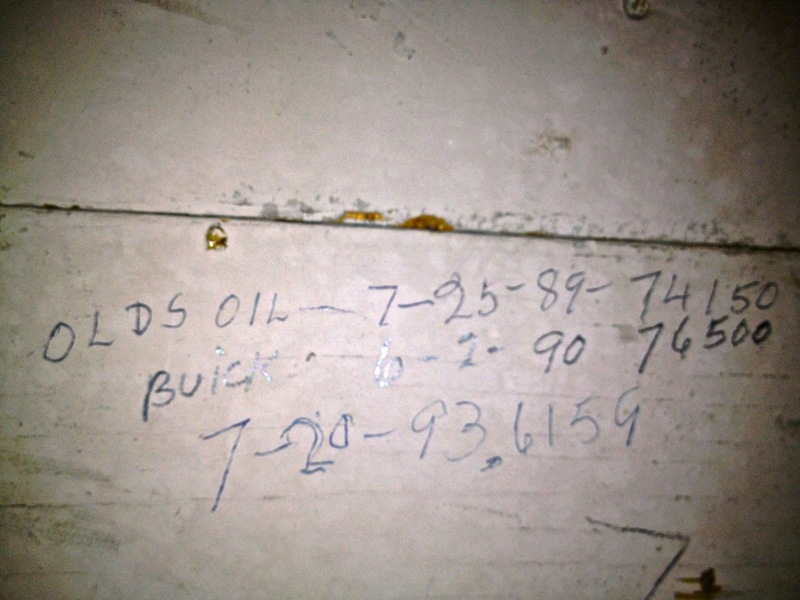 Two friends recently bought a house on the south slope of Bernal Heights in San Francisco and we spotted these oil change records scrawled on the basement wall last weekend. 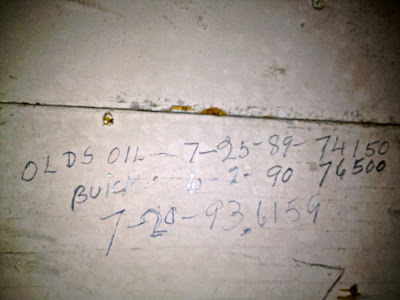 The previous owner was clearly a Buick Man (or Woman). Let's just ignore the Olds reference.